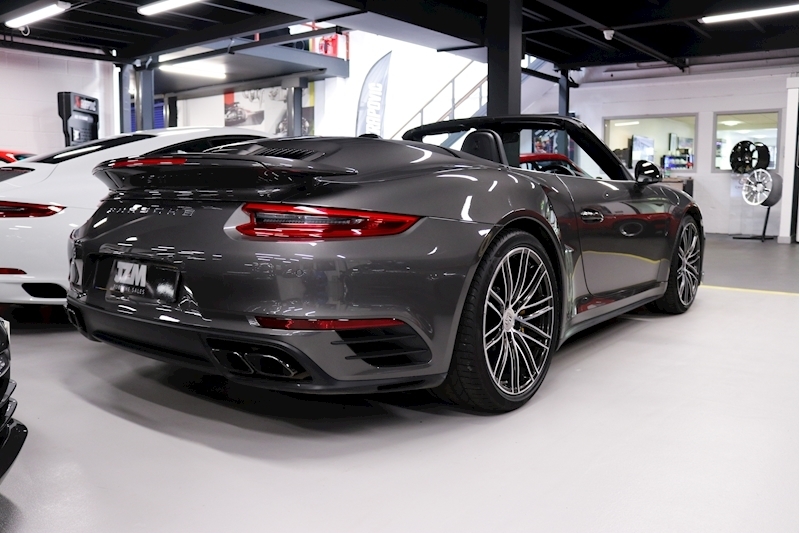 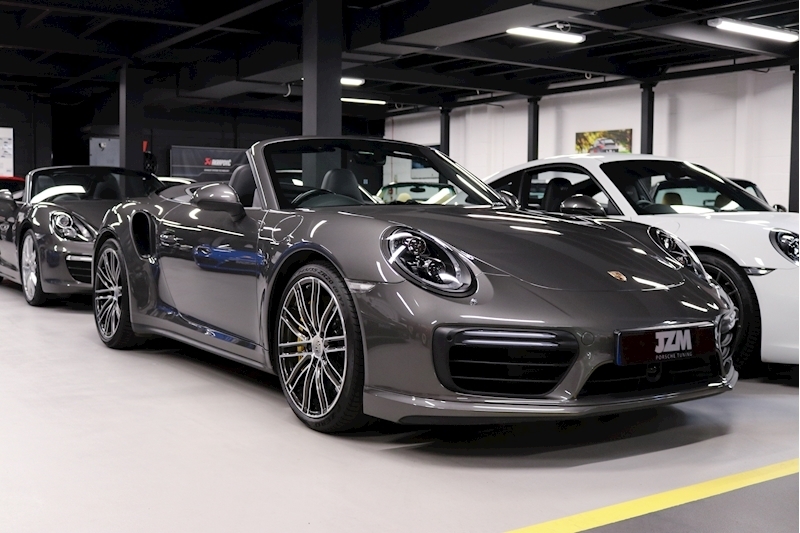 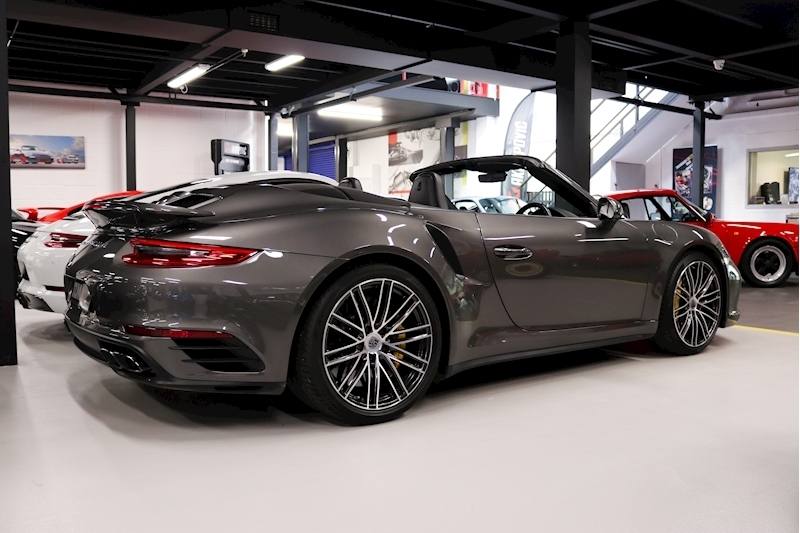 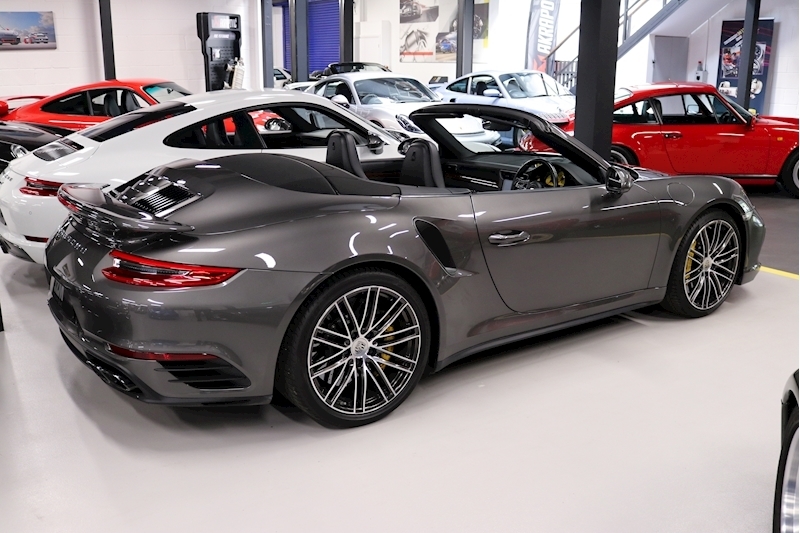 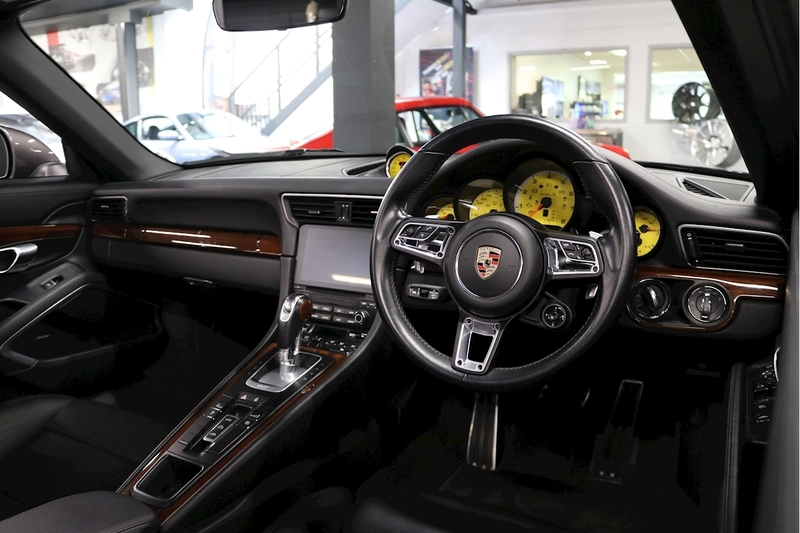 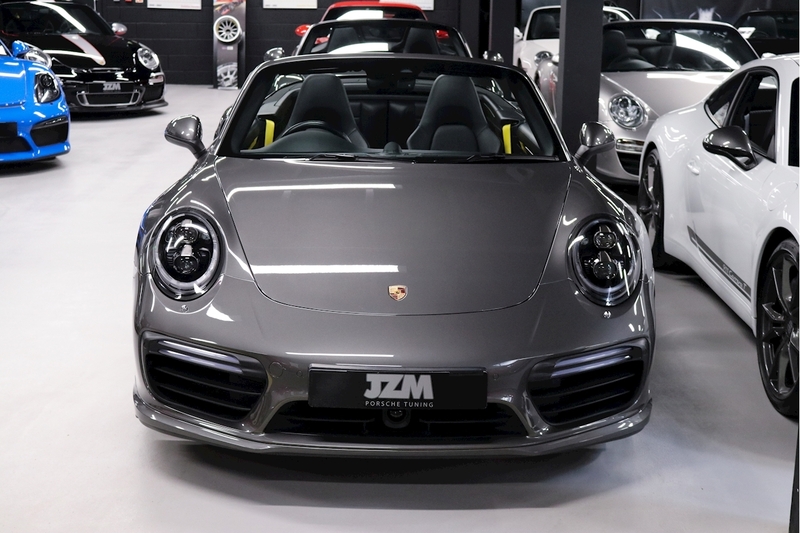 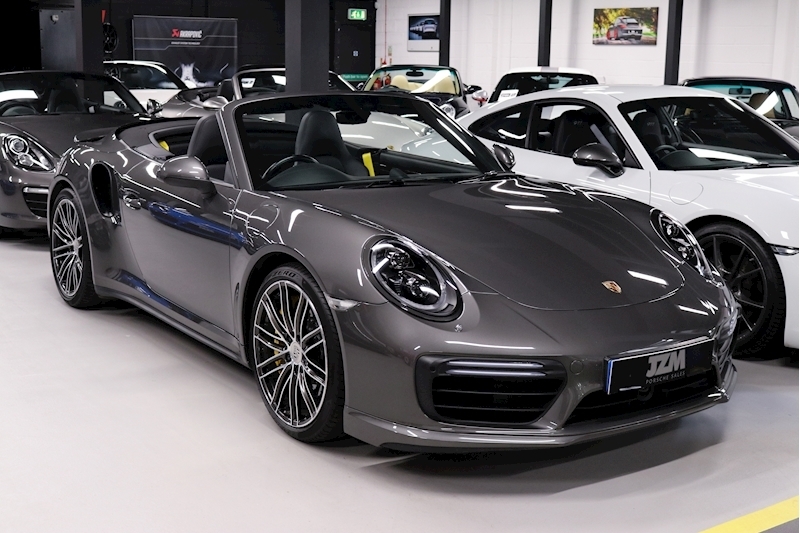 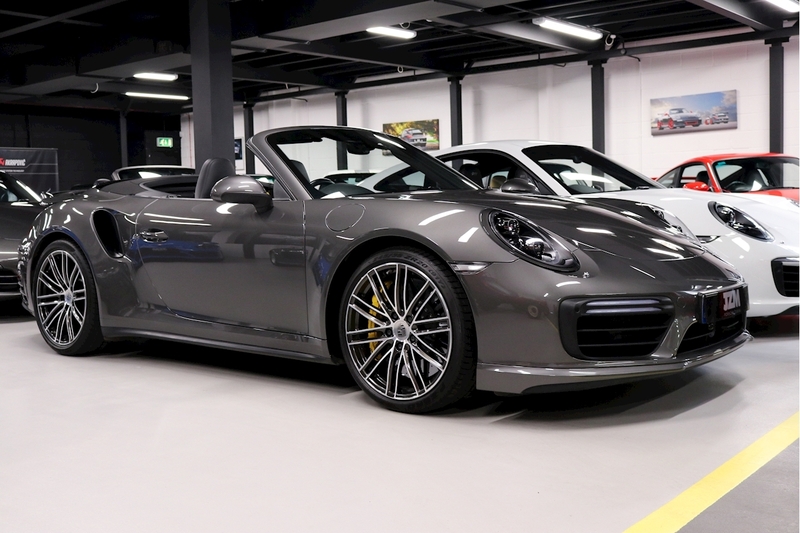 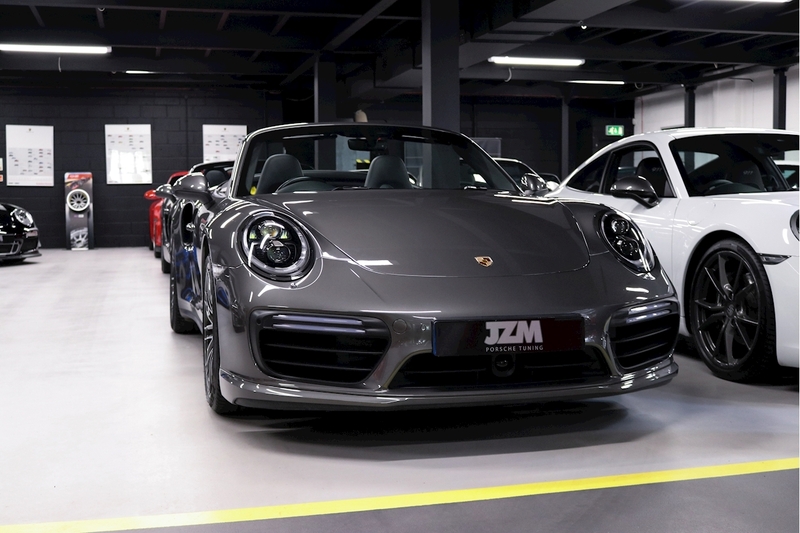 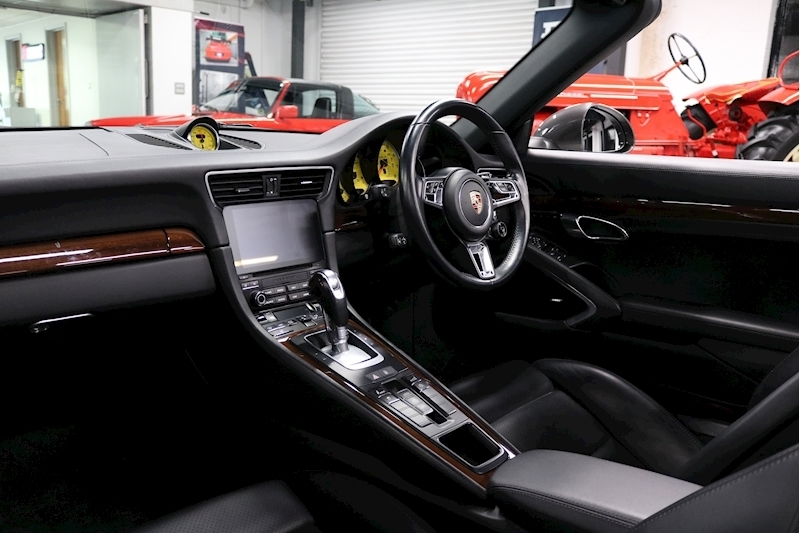 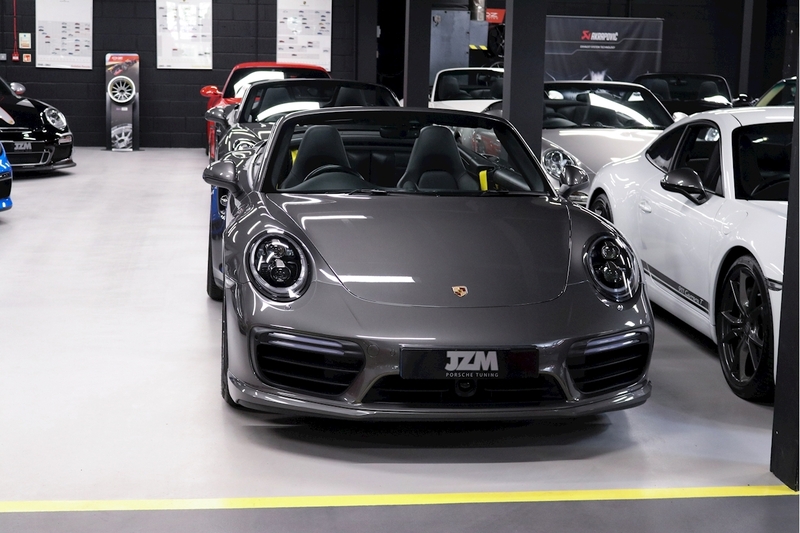 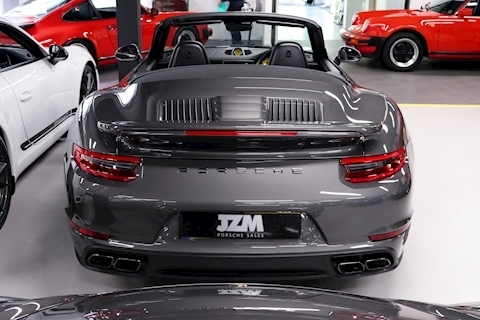 JZM are proud to offer for sale this beautiful 1 Owner 991.2 Turbo S Cabriolet. 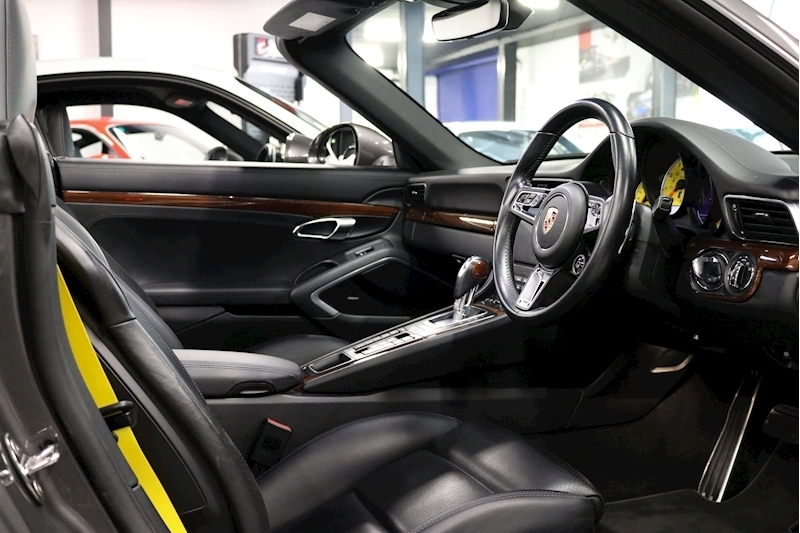 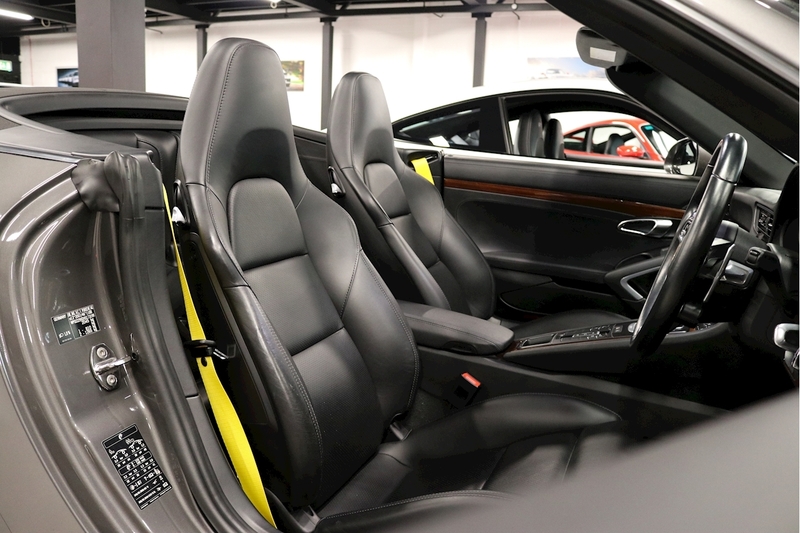 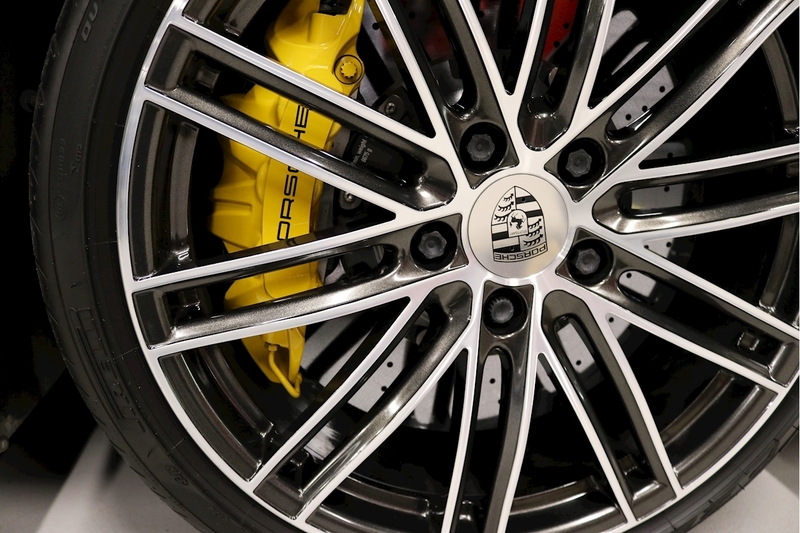 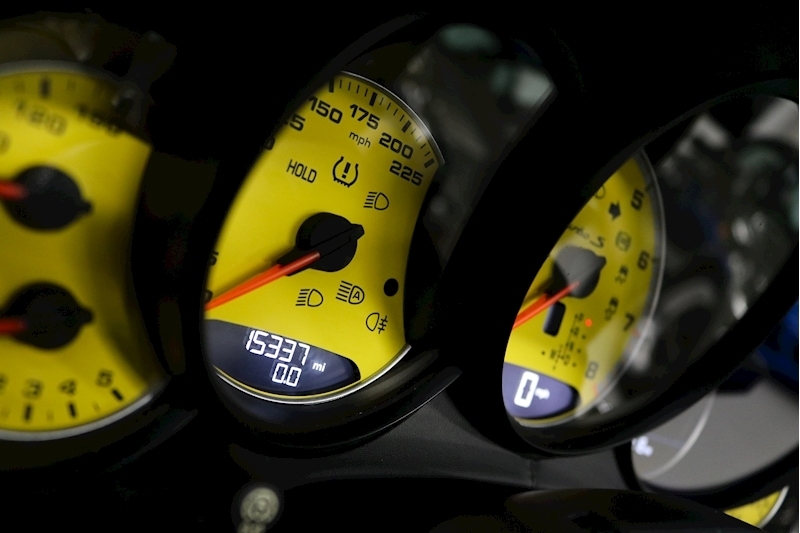 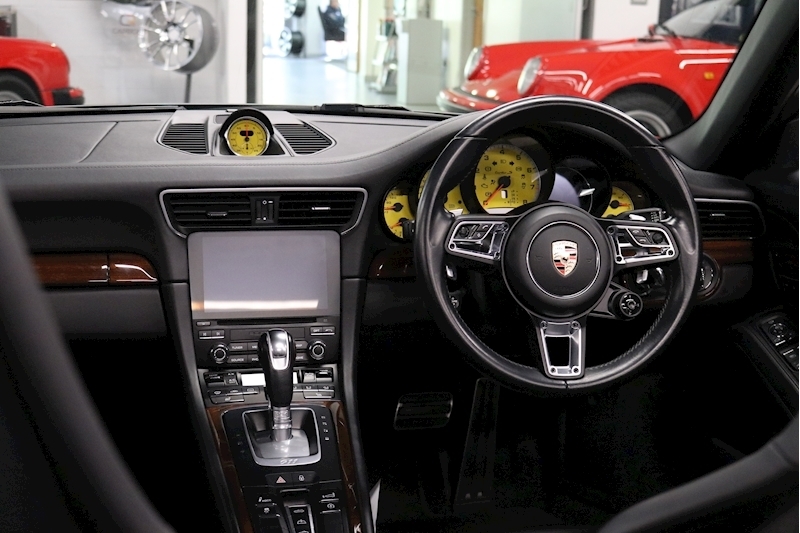 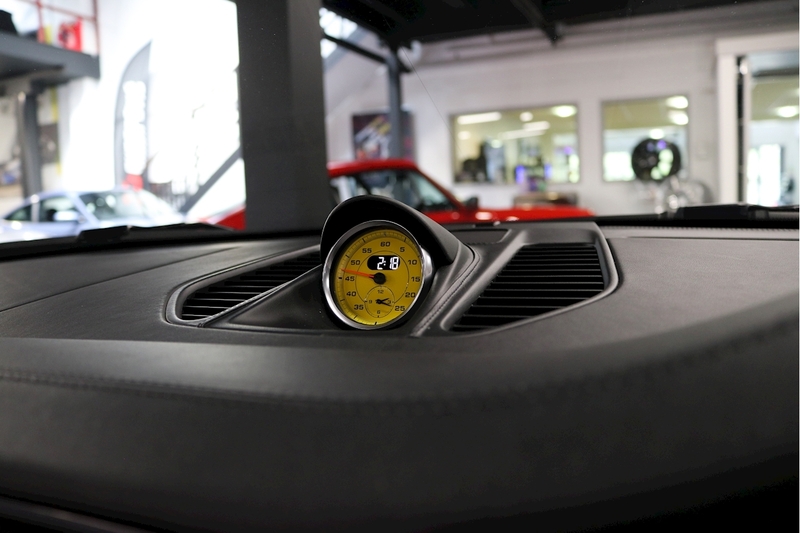 This Turbo S is not short of options with the first owner ticking almost every conceivable box when purchasing the car new. 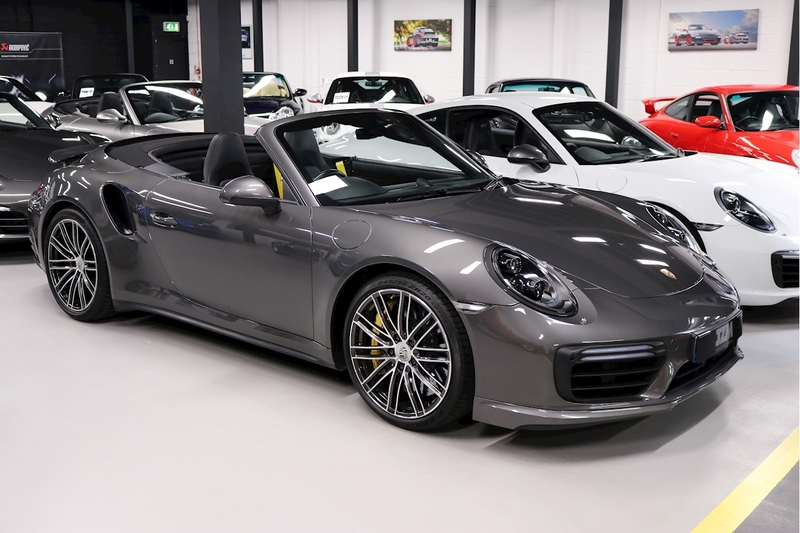 Just In time for summer……….a truly exceptional example waiting to be driven and enjoyed. 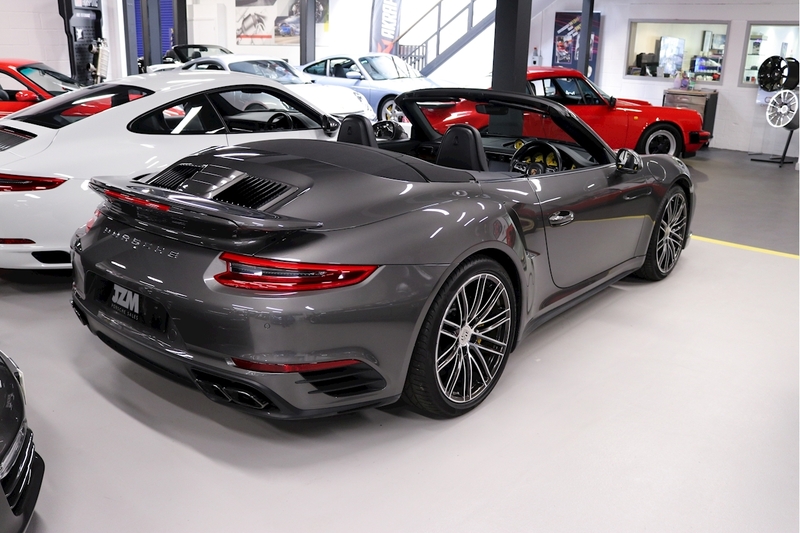 991.2 Turbo S Cabriolet 1 Owner from New Originally Supplied By Porsche Centre Cambridge First Registered December 2016 Full Service History By Porsche Centre Hatfield Agate Grey Black Full Leather Interior PDK Dual Clutch Transmission Navigation Module Telephone Module 2 X USB / IPod Interface DAB Digital Radio TV Reception Bose Sound Package PCCB Porsche Ceramic Brakes Electronic Damper Control for PASM and PDCC Sports Chrono Package Plus 18 Way Adaptive Sports Seats Heated Seats LED Headlights Dynamic Cornering PDLS+ Dynamic High Beam LED Daytime Driving Lights Automatic Distance Control Lane Change Assist 20” Turbo 4 Wheels Air Conditioning Rear Axle Steering Park Assist Front and Rear With Reversing Camera PADM Dynamic Engine Mounts Kessy Porsche Entry and Drive Multifunction Steering Wheel Heated Steering Column With Electric Height and Reach Adjustment Electrically Retractable Exterior Mirrors With Auto Dimming Tyre Pressure Monitoring Electric Wind Deflector Windscreen Tinted Upper Part Darker Coloured Seats With Backrest In Leather Instrument Dial Painted Racing Yellow Stopwatch Dials In Racing Yellow Seat Belts In Racing Yellow Instrument Surround In Leather Centre Console Trim In Mahogany Door Panel Trim In Mahogany Dashboard Trim In Mahogany PDK Gear Selector In Mahogany Fuel Tank In Aluminium Look.